Hillstown Grange is holding our Fall Pancake Breakfast on Saturday November 3rd, doors open at 8:30 AM and the Grange will be serving pancakes until 11 AM. Come and enjoy a Breakfast of Pancakes including sausage, coffee, tea and juice, all for just $5, $3 for kids 14 and under. This month's special features pumpkin pancakes with special sauce. Also we will have a warmed sliced apples topping. All you can eat regular pancakes and coffee. Our upstairs hall will be filled with Jon’s Books which has opened with a special area for reading, playing games, or just visiting with old friends. We have added a Bric-a-brac area to our upstairs hall. Come to browse, to eat, or just visit the historic 130 year old Hillstown Grange Hall. Free Admission. Hillstown Grange is located at 617 Hills Street, East Hartford, CT. Located in the Hillstown corner of East Hartford, Glastonbury, and Manchester since 1888. The Grange is one of the oldest Agricultural and Community Service groups in the United States. For more information on this event: Frank at 860-690-2845 or e-mail hillstowngrange@aol.com. For more information on Hillstown Grange, visit the Grange's website at www.HillstownGrange.org. 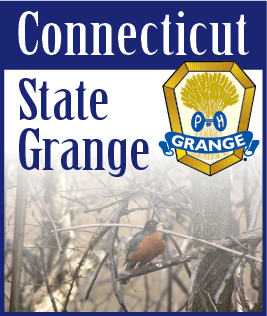 More information on the Granges across Connecticut can be found at www.CTStateGrange.org.